Le Gouvernement General de Picardie... - JAILLOT, A.H./SANSON, N.
Size : 21.1 x 31.3 inches. / 53.5 x 79.6 cm. 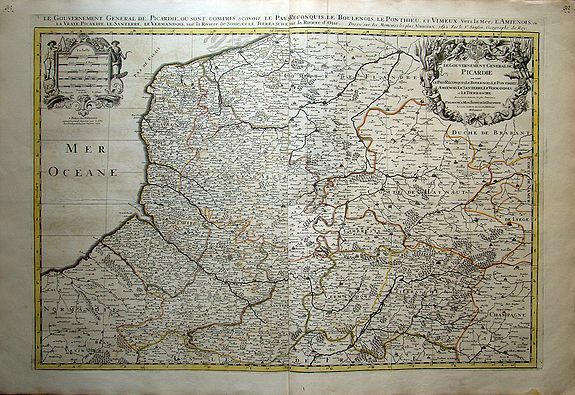 Description :Very fine map of Picardie, prepared by Nicolas Sanson and published by Hubert Jaillot.